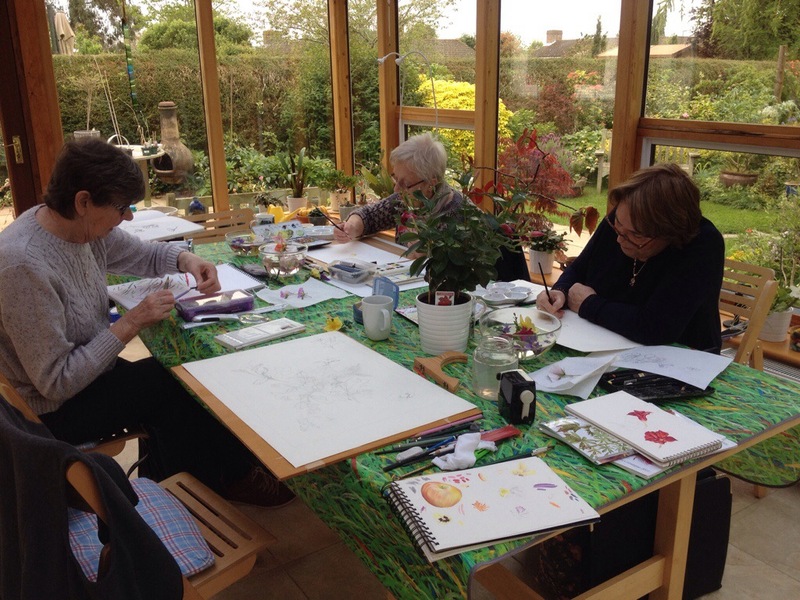 What isn’t happening in botanical art at the moment? Yesterday (Thursday) was the first of a three-day workshop. Most of the day was spent on composition and drawing. 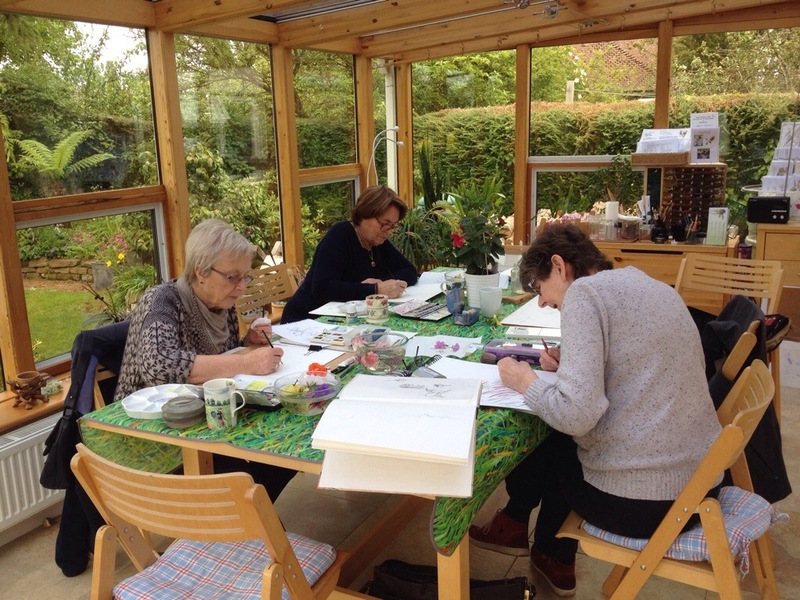 Whilst the weather was OK we used the time to choose flowers from the garden to paint. We were only going to concentrate on floating flower heads. As many will know, the colours in the garden do no clash. You can put all sorts together and it still looks beautiful. Nature is a wonderful thing. Therefore putting together colours that are not normally considered to be conducive with each other really works well. Hopefully you will see some of the results. Normally just the morning is spent composing and drawing ready to commence painting. However, the students this time became very involved in the technicalities of composition and they realised that their final painting will only be as good as there drawing. There compositions were finished by the end of the first day and they were ready to start day two. At the start of today, the students had some good drawings to start painting and carefully they began to lay in colour. After a lot of concentration and hard work, they made some headway by the end of the day – but whether or not they will finish their compositions by the end of tomorrow is anyone’s guess. We shall see. Anyway, a good time has been had by all so far – including me. They are a fun, hard working bunch of people.